The Albigensian Crusade or Cathar Crusade (1209–1229) was a 20-year military campaign initiated by the Roman Catholic Church to eliminate the Cathar heresy in Languedoc. The Crusade was prosecuted primarily by the French and promptly took on a political flavour, resulting in not only a significant reduction in the number of practicing Cathars but also a realignment of Occitania, bringing it into the sphere of the French crown and diminishing the distinct regional culture and high level of Aragonese influence. When Innocent III's diplomatic attempts to roll back Catharism met with little success and after the papal legate Pierre de Castelnau was murdered (allegedly by an agent serving the Cathar count of Toulouse), Innocent III declared a crusade against Languedoc, offering the lands of the schismatics to any French nobleman willing to take up arms. 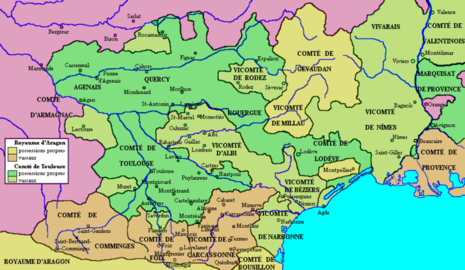 The violence led to France's acquisition of lands with closer cultural and linguistic ties to Catalonia (see Occitan). An estimated 200,000 to 1,000,000 people were massacred during the crusade. 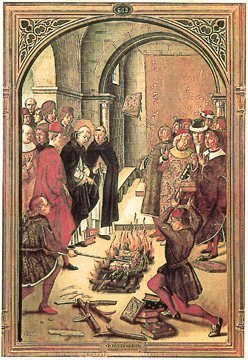 The Albigensian Crusade also had a role in the creation and institutionalization of both the Dominican Order and the Medieval Inquisition.